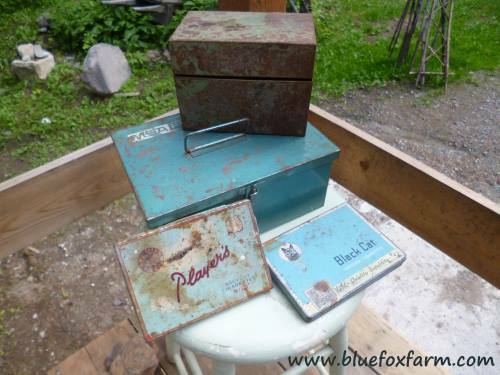 Whenever I see really old tins in a yard sale, or a barn that is destined to be torn down, these are the ones that speak to me. 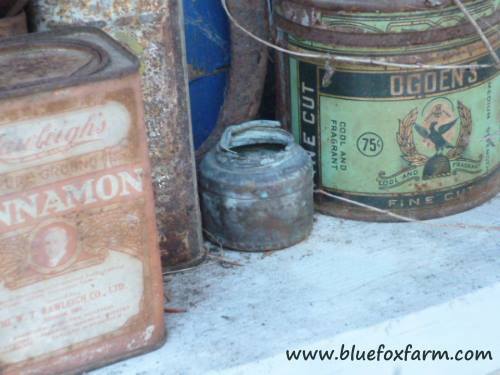 The old time, real vintage tins, like many other collectibles, are treasures. They were made at a time when things were built to last. 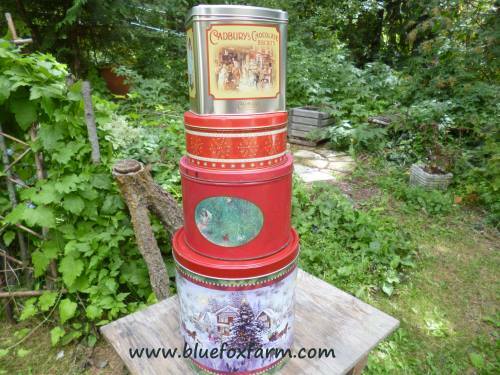 Reproduction tins that you get with seasonal goodies in, tea or other comestibles are fine too, but the really well aged ones are much more valuable to a collector. 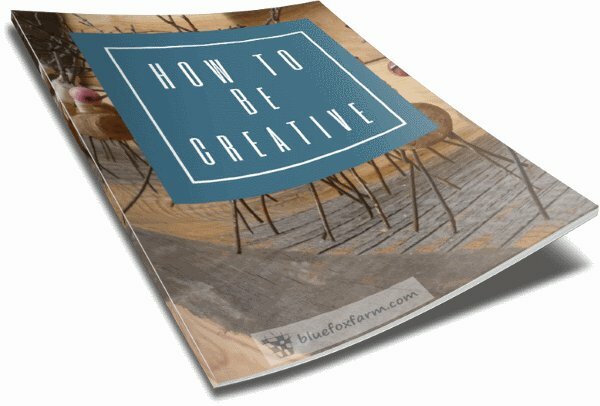 Many people look for one specific kind, or those in a certain color to match their decor. Other collectors are drawn to those with age and weathering and lots of character. 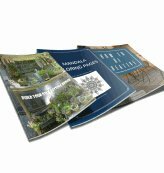 No matter which type of collector you are, these are a relatively cheap way to add that homespun country look to a display, adding that sought after primitive ambiance. 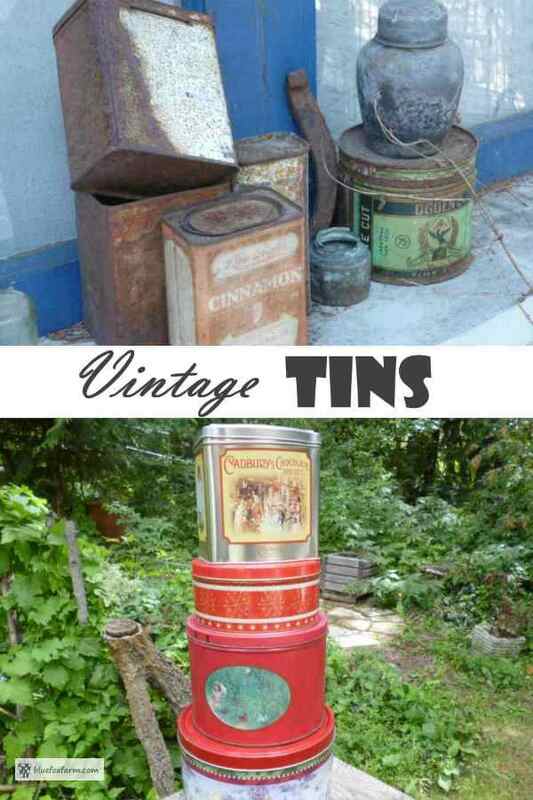 Lots of old tins are special because you can no longer buy any kind of supplies in tins of any kind, and they evoke a bygone era when you would go into a dry goods store and purchase all kinds of things packaged in tins to keep them from going stale, or from damage in transit. These days, it's all about plastic.